Andrea Pejrolo (www.apejrolo.com) is the Assistant Chair of the Contemporary Writing and Production department at Berklee College of Music in Boston. 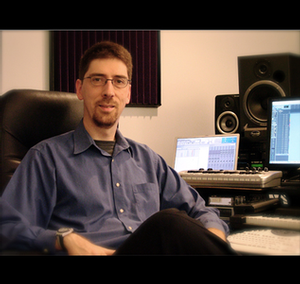 Andrea is a composer, producer, music technology expert, audio engineer, and bassist. He is the author of "Creative Sequencing Techniques for Music Production" (1st edition 2005, and 2nd edition 2011) and "Acoustic and MIDI Orchestration for the Contemporary Composer" (2007) and has written several articles for music magazines, including Sound On Sound, MacWorld, Bass World Magazine, Muralann and Boheme Press (Canada), Computer Music Studio Magazine, and Il Capitello Publisher (Italy). Andrea has extensive and active professional experience as a sound designer, audio engineer/producer, MIDI programmer and composer for film, TV, theater and multimedia. Some of his recent collaborations and projects include Lou Salloum and Jamie Helou (Beirut), Traits de Marque in Paris, iAcoustica Studio drum library, iDrum Rock Edition for iPhone/iPad in collaboration with Izotope, arrangements and recording with the City of Prague Philharmonic Orchestra, Don Sebesky, ABC, CBS, Cy Coleman, Burning Petals Music Production (U.K.), the Broadway Show "Swing" (St. James Theater, NY), and the Grand Canyon Music Festival. Andrea holds a Ph.D. in jazz composition/performance from New York University, a Master in Composition for Film, TV, Theater and Multimedia from the University of Bristol (U.K.) and a Music Diploma in Jazz Performance from Manhattan School of Music in New York City. Follow Andrea's work via Twitter @apejrolo_music.